Traveller: Travel News and Stories: TripAdvisor - 150 million posts in the past year. TripAdvisor - 150 million posts in the past year. TripAdvisor®, the world’s largest travel site*, today announced it has reached a new user-generated content milestone making it the first travel site to offer consumers 150 million reviews and opinions – a 50 percent increase year-over-year. TripAdvisor collects more than 90 user contributions a minute that allow travellers worldwide to make informed decisions based on the personal experiences of other travellers. More than two billion unique worldwide visitors a year** visit TripAdvisor to research, plan, and book their travel at more than 3.7 million accommodation, restaurants, and attractions. More than 500 million people worldwide are also able to find TripAdvisor ratings, reviews, and opinions on the websites of almost 1,000 brands every month. Partners include hotel groups such as Wyndham and other leading online travel suppliers. The review celebrated as the 150 millionth piece of content posted on TripAdvisor was written by TripAdvisor member Erin S. after a Valentine’s Day weekend retreat with her husband. It's the first review she has written on TripAdvisor. The review titled “A warm and inviting retreat...you'll want to return!” is of the Cameron House Inn, a bed and breakfast in the Outer Banks of North Carolina, USA. "Fourteen years ago, TripAdvisor saw an opportunity to help travellers help each other make informed travel decisions by sharing their first-hand experiences, reviews, and photos," said Steve Kaufer, co-founder and CEO of TripAdvisor. "Now, the internet and user-generated content have completely changed the way we plan, book, and share our trips." According to a recently commissioned report conducted by PhoCusWright*** on behalf of TripAdvisor, more than half of global respondents do not want to make a booking commitment until they read reviews and find out what other travellers think about a property. More than 80 percent say the site’s reviews help them feel more confident in their travel decisions, and help them to have a better trip. The survey also reveals some interesting findings about why travellers write reviews and how they use them when planning a trip. 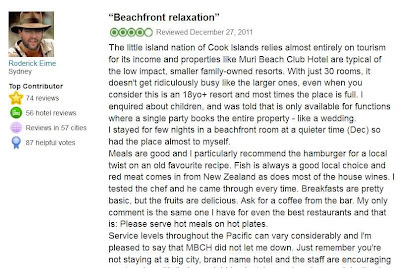 Why do travellers write reviews? The majority of respondents write reviews for positive reasons, with 74 percent of travellers stating that they ‘feel good about sharing useful information with other travellers’ and 70 percent of respondents stating that they wanted to share a good experience with others. When researching places to stay on TripAdvisor, 80 percent of respondents read at least 6-12 reviews before making their decision, and they are most interested in recent reviews that will give them the freshest feedback. · 24,710 TripAdvisor members have contributed more than 100 reviews. · For a hotel in the top 500 most searched destinations on TripAdvisor, the average number of reviews is 174. · The most reviewed hotel is the Luxor Las Vegas with 13,677 reviews. · The most photographed hotel is the Majestic Colonial Punta Cana with 16,274 photos. · The most reviewed restaurant is Mon Ami Gabi in Las Vegas with 4,729 reviews. · The most photographed restaurant is Mama's Fish House in Hawaii with 1,196 photos. · The most reviewed attraction on TripAdvisor is the Eiffel Tower with 24,413 reviews. 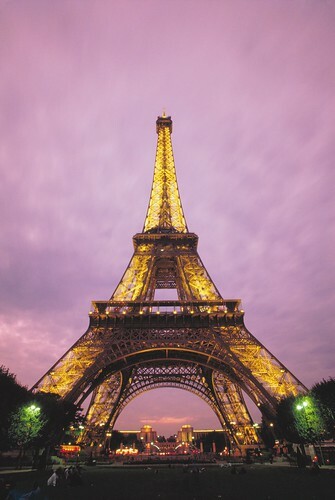 · The most photographed attraction is the Eiffel Tower with 9,181 photos.